Junior X is a talented Rastafarian songster whose inspiration hails from the most high. Born in East Kingston Jamaica, Junior X’s love for music was innate and fostered by his involvement in the school choir while in primary school. He attended the Home Basic School and the ElletsonPrimary School before completing his secondary education at GaynsteadHigh School. While in high school Junior X formed a group called The Brimstone Crew along with several other youths from his neighborhood. Together they spent countless time penning lyrics and performing in the community. Eventually the group grew apart and Junior X was left alone to pursue his musical ambitions. In the 1990’s Junior X began working with Dennis Wright, who was the manager of Chaka Demus& Pliers. While working with Wright, he co-wrote several songs with the hit making duo. In 2002 Junior X began working with Herbs House Entertainment. 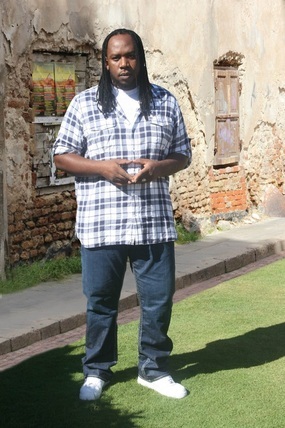 The label released several singles by Junior X, including Plead My Cause, Freedom and Seek Your Goal, all of which became big hits in Jamaica. As a result of his music’s popularity, Junior X has performed in several countries counting Japan, the United States of America and the Commonwealth of the Bahamas, just to name a few. He has also continued to record music and perform on major events such as Champions in Action, Rebel Salute and Bob Marley Birthday Celebrations. Junior X’s fan base is growing at an increasingly high rate as he travels across the globe on a mission to eliminate negativity through his music. Junior X is currently working on new music and preparing for a USA summer tour with his current label home Revolutionary Entertainment. Owned by music extraordinaire Dennis Livingston, the record label is working closely with Junior X to continuously develop a bigger and brighter brand for the artist.